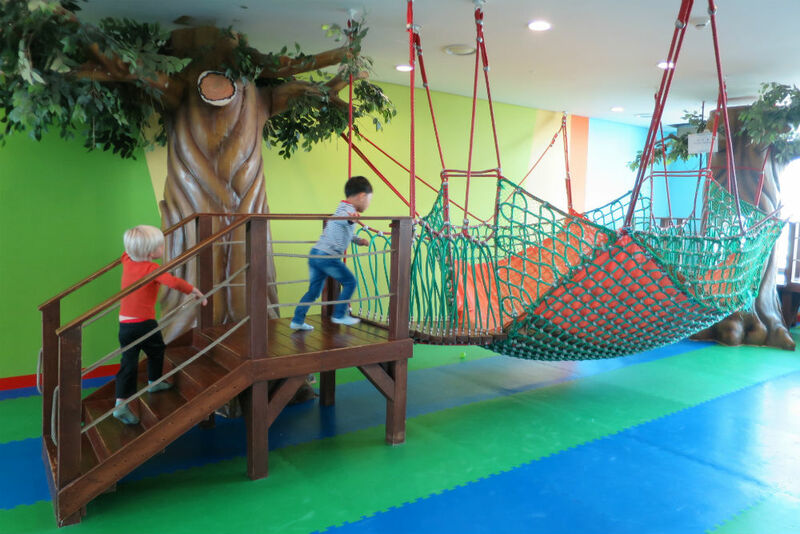 I’d heard that Incheon had several play areas—perfect, I thought, for letting my four-year-old burn off some energy between flights. So upon arrival, I consulted a touch-screen map to find a play area near our gate. 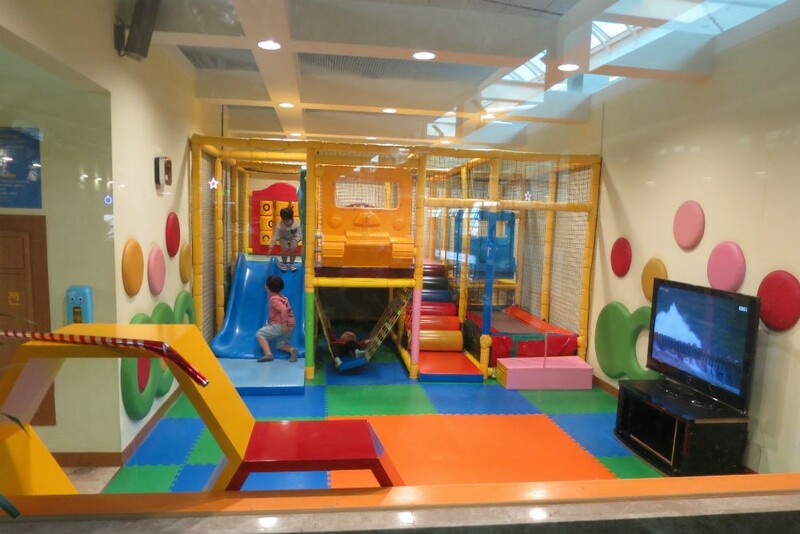 The map’s menu listed nearly 100 duty-free shops, but not a single kid space; when I searched for “play,” the single result was a playground on the Concourse, a corridor of gates separated from the terminal by a shuttle train. We boarded the train and made our way to the advertised play area, which consisted of a large cargo net hanging a foot or two off the ground like an enormous hammock, plus some small plastic balls to throw around. Somehow, after having read glowing reviews of this airport posted by fellow parents, I’d been expecting more. My son grew tired of the place within a few minutes, and so we went in search of a different—hopefully better—kids’ area. I ask you, readers: Would you have known, based on the photo above, that by boarding the shuttle train you’d lose access to the entire terminal? I now see our mistake, but at the time—bleary-eyed after a red-eye from Saigon—I breezed past these signs, not realizing that “Concourse Only” meant we couldn’t return to the terminal. When we finally found the Kids’ Zone on the second floor of the Terminal, I was again disappointed, this time by the wide-screen TV that was showing Jurassic Park (a PG13-rated movie) beside a climbing structure appropriate for kids under six. 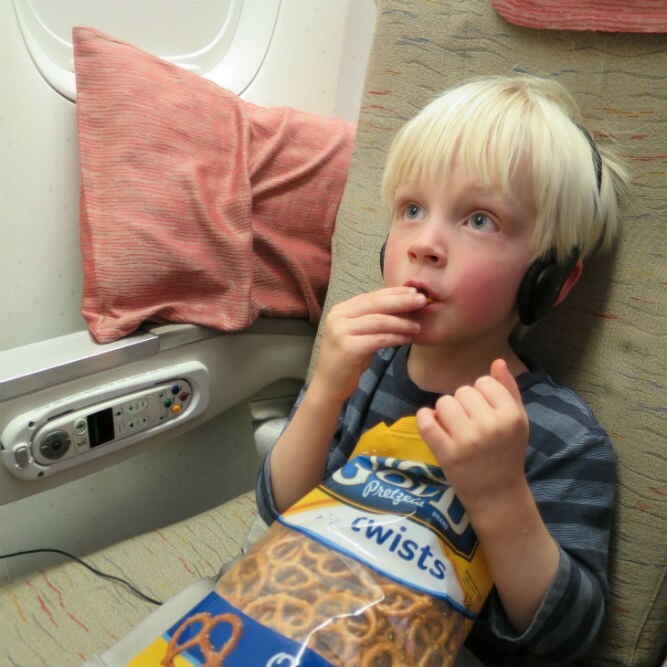 Way to go, Incheon: Let’s give little kids nightmares before they board a long-haul flight! 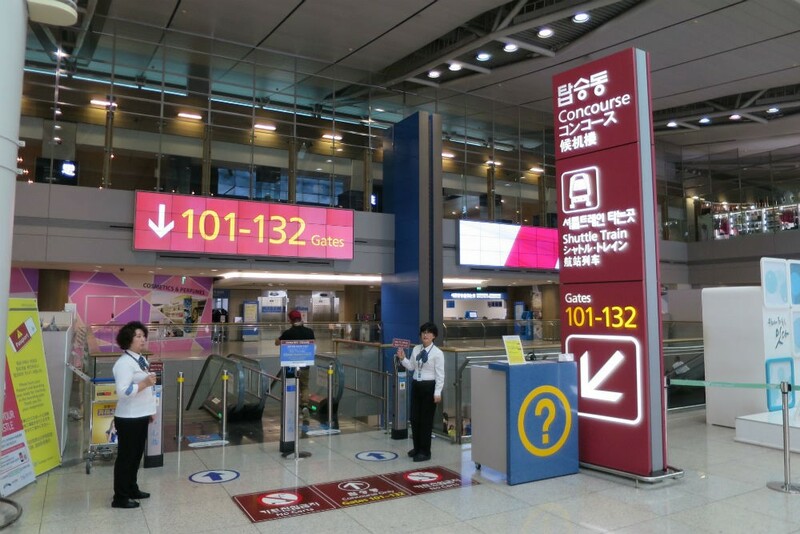 As far as I can tell, Incheon is a glorified shopping mall with gates as afterthoughts, and little concern for the basic needs of travelers. In the market for a Swarovski bracelet, a Louis Vuitton suitcase (who buys luggage when they’re already on a trip, anyway), or fast-food kimchi? Incheon has you covered. A can of soda water, a bag of crackers, or a globally understood sign indicating DO NOT ENTER? In those departments, I found that Incheon was sorely lacking. Next time, I’ll be flying through Singapore. 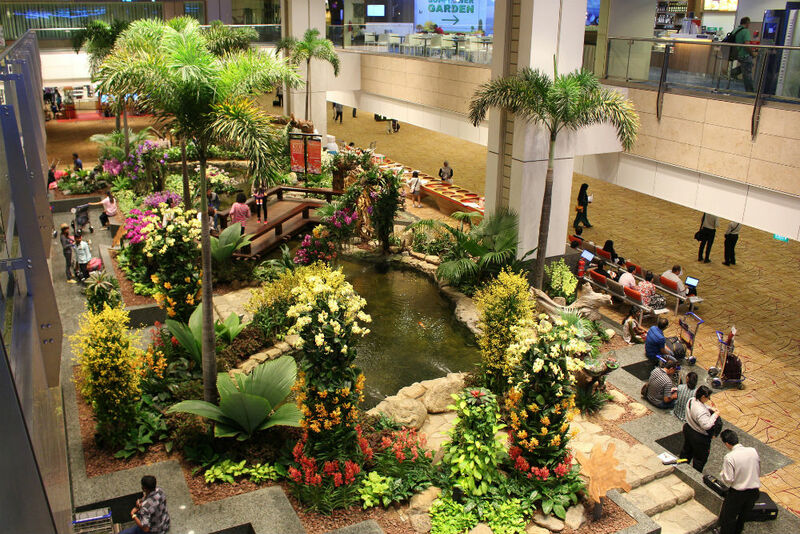 Which airports do you think are the most kid-friendly?